Sunny musical set in 1933 opens on Friday at Eastside Theater Company in Troutdale. Playing the title character of "Annie" has been a longtime dream for both fifth-grader Ania Vilius and fourth-grader Ellen Horton at Corbett Grade School. The two share the lead role of Annie in Eastside Theater Company's production of the beloved musical opening Friday, March 2, at The Chapel in Troutdale. 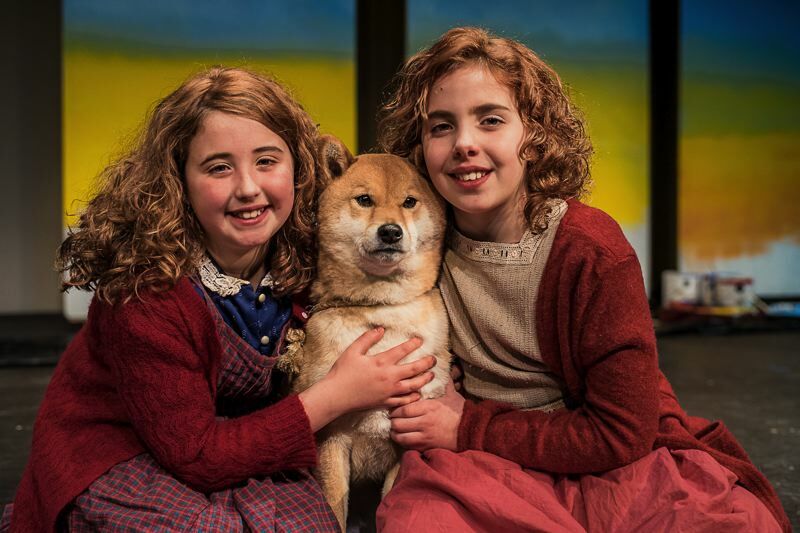 Both say they hope audiences take away Annie's positivity and hopefulness. "Annie is always trying to make the best out of things," notes Vilius. Horton adds "This is really a meaningful show." With the help of the other girls in the orphanage, Annie escapes to the wondrous world of New York City. In adventure after fun-filled adventure, Annie foils Miss Hannigan's evil machinations and even befriends President Franklin Delano Roosevelt. She finds a new home and family in billionaire Oliver Warbucks, his personal secretary Grace Farrell and a lovable mutt named Sandy. Director Liz Bertsch says Annie has many crossovers in our world, from our current political climate to what we see with foster care in the northwest. "The biggest thing 'Annie' focuses on hope," Bertsch says. "It's a fun, classic story." 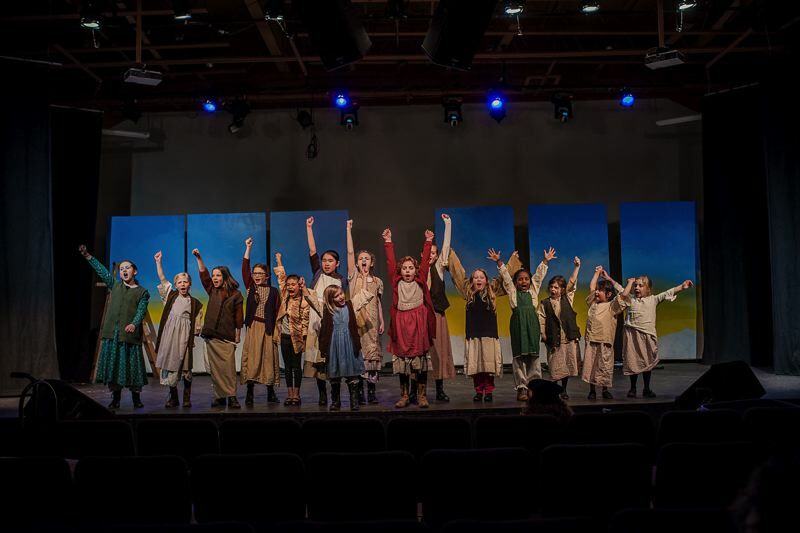 Eastside Theater Company's production features 35 girls, 12 boys and two adults, along with nine crew members and numerous volunteers. Bertsch says the play will feature a new style of set that makes for a fun and slick transition from scene to scene. Costumes stay true to the time period of 1933, with special detail to hairstyles, clothing styles and shapes that captivated the era. "I hope audiences take away that Eastside Theater Company is youth performing excellent shows," Bertsch says. "That the power and passion of volunteerism can make something excellent." What: Eastside Theater Company presents "Annie"